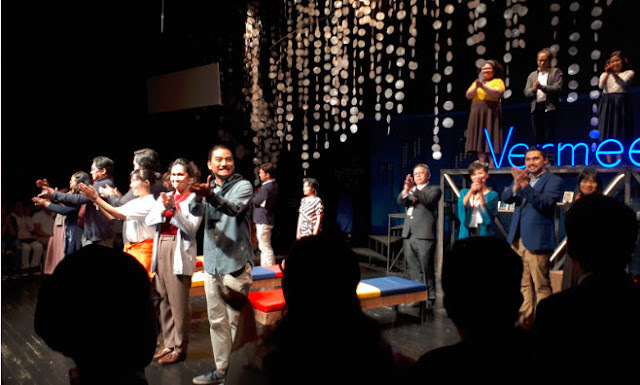 Tanghalang Pilipino’s play Manila Notes by Japanese writer/director Oriza Hirata is a rare feat that local theater fans shouldn’t miss. A collaboration project of the Japan Foundation, the Cultural Center of the Philippines and its resident theater company, Tanghalang Pilipino, Manila Notes is the localized version of Hirata’s world renowned Tokyo Notes. 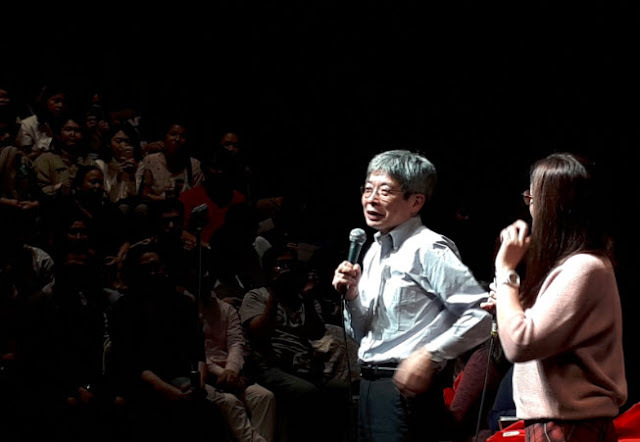 Directed by Hirata himself, the play’s pre-production process attracted many local talents. During the press interview, Hirata was proud to say that they “were able to get the best actors in the Philippines and we were able to give them the best roles for them.” True enough, the cast was headlined by select PH theater actors across different theater companies. Joining Espinosa and Marasigan are Mayen Estañero, Jonathan Tadioan, Marco Viaña, Gie Onida, Ian Segarra, J-Mee Katanyag, Neomi Gonzales, Wenah Nagales, Kathlyn Castillo, Randy Villarama, Elle Velasco, Lhorvie Nuevo, Antonette Go, Joshua Tayco, Manol Nellas, Micah Musa, Manuel Tinio, and Manjean Faldas. Hirata’s writing style was different. The script had multiple columns that represent different conversations and were delivered at the same time. 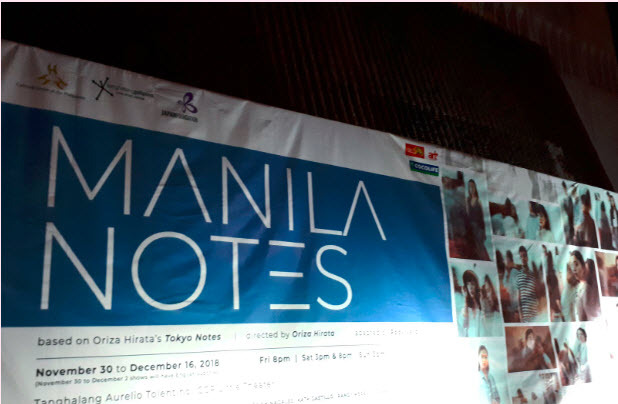 As a theater junkie, I really find Manila Notes different. Hirata had a league of his own when it comes to theater writing and directing. It was at some point confusing since you have to listen and eavesdrop on multiple conversations at the same time. But it was a very interesting theatrical experience. Definitely out of the box! Catch #ManilaNotes by #TanghalangPilipino for two more weeks until December 16. They have shows from Friday to Sunday. Get your tickets at ticketworld.com or at the CCP Box Office. This article was written by our correspondent Geno Maglinao.